Miceli Productions spent a week in VSI Media‘s MoCon (Motion Control Camera) Suite during production of our feature length corporate documentary film Amphenol: Connecting Through Time. MEET THE AMPHENOLIANS is a short video created as a DVD extra to celebrate company values among business managers. Amphenolians are 6 inches tall, made entirely from Amphenol connectors and embody the core values of the company’s founder Arthur J. Schmitt. 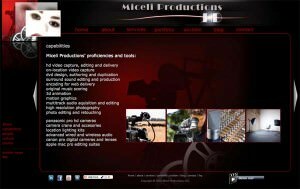 Amphenol‘s rich culture inspired Miceli Productions‘ creative approach in showcasing the Amphenolians on film. Does your company have unique ways of embodying values? We’d love to hear them, comments welcome. 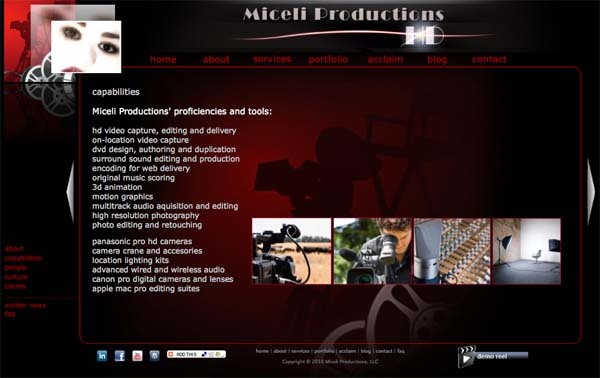 Miceli Productions launches newly designed website March 2010. Stay tuned on facebook for the soft launch when we invite comments from our network. Official launch takes place March 2010.